CEO Brian Niccol lunches at a Chipotle near the company’s new headquarters in Newport Beach, Calif. THE BACON QUESADILLA IS compelling, crisp and not skimpy on the cheese. 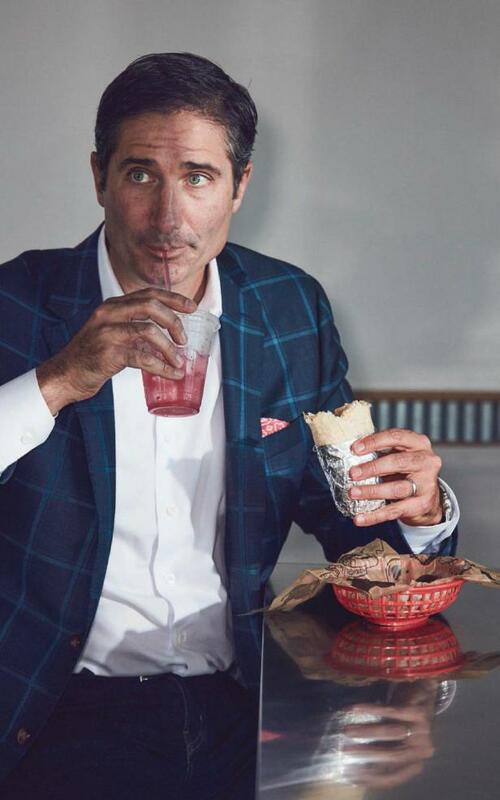 I taste it on a sunny October day in Newport Beach, Calif., where Chipotle CEO Brian Niccol is in a restaurant that doubles as a test kitchen, serving up some of the new items the fast-casual chain may soon offer. Possibilities include quesadillas, nachos, hibiscus lemonade, even avocado tostadas—an item designed to be on brand for any millennial who has dreamed of eco-snorkeling in the Sea of Cortez. But Niccol has plans for the company that go well beyond jazzing up the menu. Chipotle Mexican Grill was once the envy of entrepreneurs everywhere. Founded in 1993 by a classically trained chef, it grew from a single location in Denver into a billion-dollar burrito empire by 2006, the year the company went public. Its formula embraced the best of fast food (low prices, quick service, big portions) while positioning the company as the industry’s antithesis, with fresh ingredients and a corporate ethos that emphasized integrity and sustainability. New locations popped up across the U.S. as the company’s stock price soared more than 3,000% in the decade after its IPO. At the peak of 2015, 1.5 million people ate at Chipotle every day.